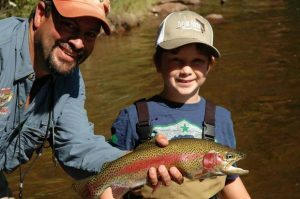 Anglers take advantage of the multitude of high country lakes in our backyard for all of the best reasons. 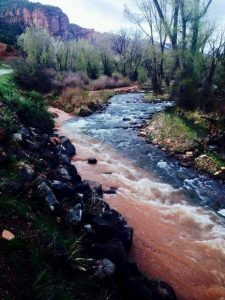 Freestones like the Crystal, Roaring Fork and the Colorado rivers are in runoff mode, so this is your opportunity to see what all the fuss is about. There are a few lakes that usually don’t ice-off for another month due to elevation, but many are already fishing very well. 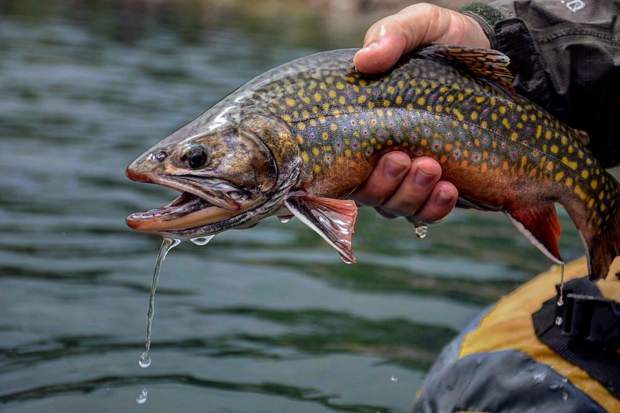 Anglers in the know have been taking advantage of the great spring fishing on warm water reservoirs for months, and many switch to the high country now. High country lakes are generally inhabited by brooks, cutthroat, rainbows and sometimes mackinaw (lake trout). The insect life is prolific in most of these lakes, consisting of chironomids, callibaetis, damselflies, dragonflies, scuds, leeches, crickets, beetles, flying ants and more. Larger fish lean towards eating smaller ones, so you want a little more than just “bugs” in your fly selection. 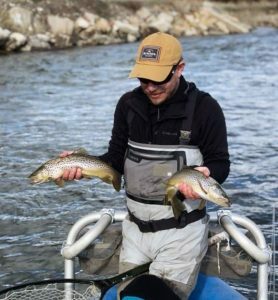 Small streamers such as Tim Heng’s Autumn Splendor and Charlie Craven’s Baby Gonga fill the bill. Sight casting is best, so try creeping along the banks slowly, spying on cruising fish looking for food. Present your fly gently in their assumed path and watch closely. If you’re not seeing them, try some casts out towards the center. For the most part, these trout relate to the bank because of food sources, but they can wander over the course of the day. Many people enjoy fishing from small inflatables in alpine lakes, just be sure they are allowed before you hump them up the trail. 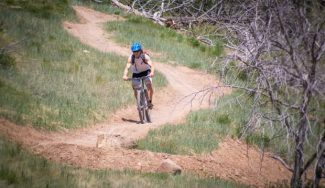 Keep in mind as we ease in to summer that we have monsoonal rains most afternoons in the high country, so get up early and head down when weather moves in. Utilizing a water filter allows you to travel lightly on these jaunts, and set yourself up with a few extra items like an emergency blanket, jacket, matches and headlamp in case you have to unexpectedly overnight in the backcountry. Have fun, be safe and enjoy another blissful fishing summer.